Costa Rican towns point to the church as its most notable structure, Iglesia de la Nuestra Señora de las Mercedes in Grecia is extra-special in that it is made entirely of metal. 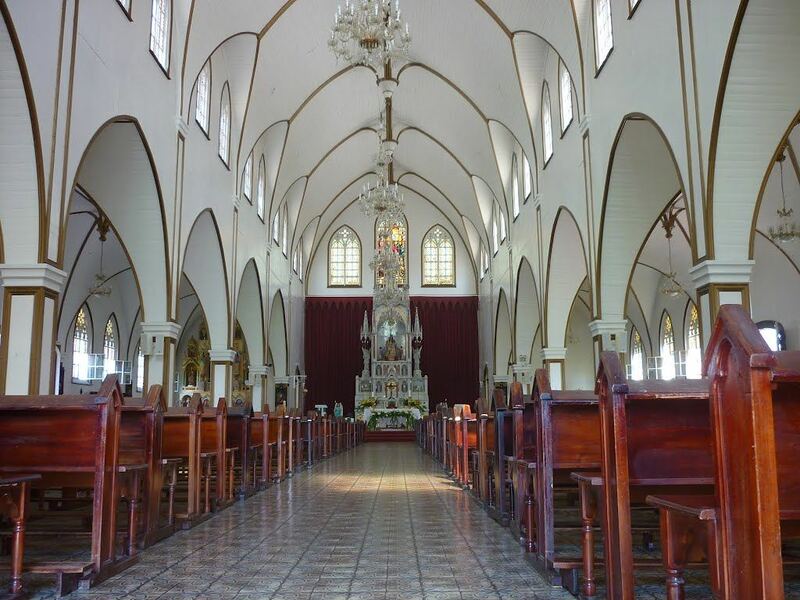 The Catholic church, the only metal church in Central America, is a neo-Gothic building, built entirely of imported iron plates of Belgian steel. The separate plates have been plainly riveted together and the whole building painted red. Between 1844 and late 1847, a chapel was built on the block where the current metal temple is was built. This chapel was all wood, with metal roof sheets. Then in 1853 it was roofed with tiles; that same year a brick floor was added and a tower shortly after. Grecia, in the Alajuela province, is characterized by the national reality of being prone to earthquakes. In 1888, the new temple recently built of iron and wood was destroyed, so the community is organized, and decided to erect a new temple with a Gothic style, which would rise again, but of iron, and it would come from Europe. 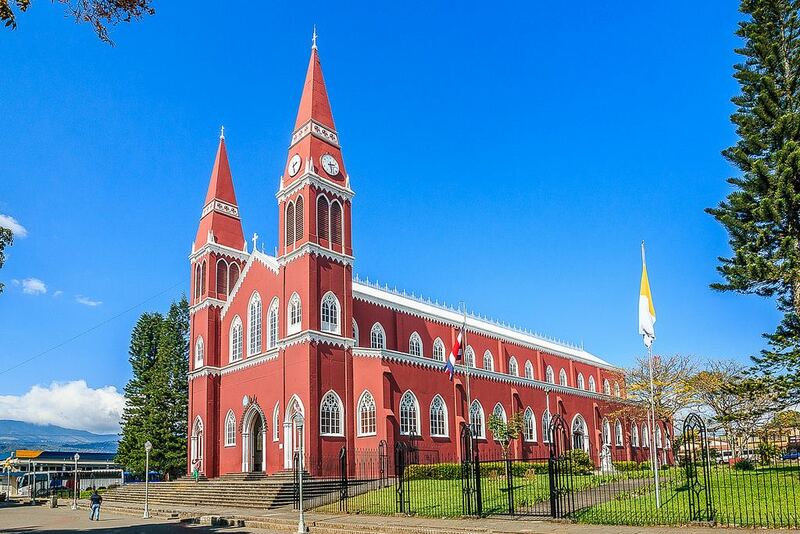 On July 7, 1889 the Grecia Parrish made the decision to build a church made of iron, the request was sent to Bishop Bernardo Augusto Thiel, coordinator for the province of Alajuela. The Parrish board, facing drawbacks, sent site plans for the new construction, sent to a Belgian firm contracted to draw up the blueprint. The iron pieces arrived at the port of Limon, beginning the arduous task of moving them by oxen cart (Yuntas de bueyes in Spanish), on what was then mainly dirt roads. Given the rainy season limited movement, mud becoming an impediment to the smooth transfer of the iron metal, the transfer takes places between January and April 1893 (the dry season). 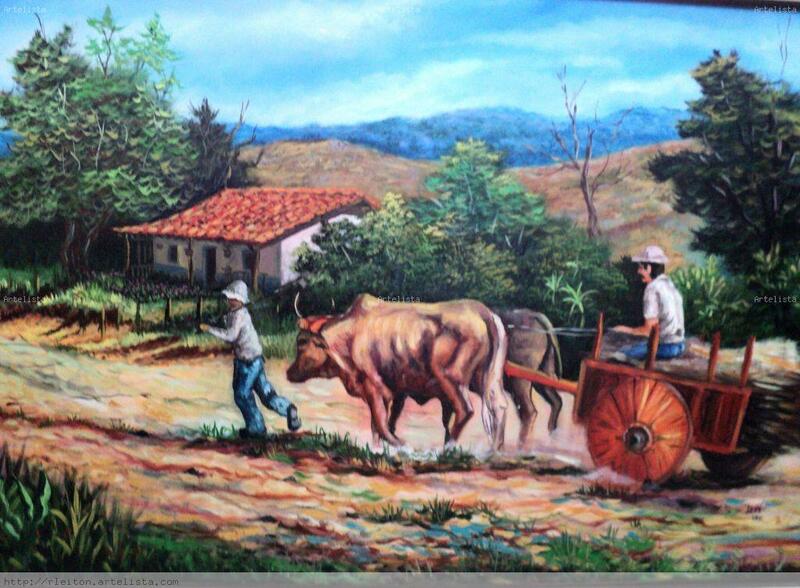 The metal pieces were move from the port of Limon on the Caribbean coast to Grecia by oxen cart. The painting is of the typical transportation of the era. The construction of the church had many drawbacks, major financial support for the project coming from the people of Grecia. By October 1896 the church was metal frame was practically armed, missing were finishing touches such as doors, ceilings, floors, windows and stairs. 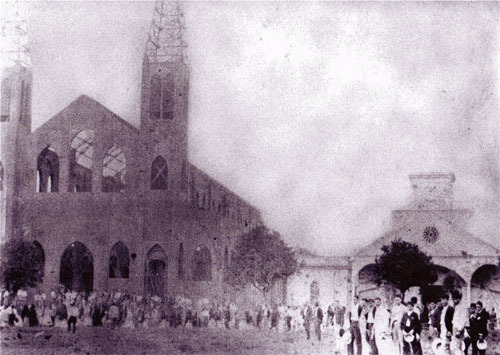 In December 1912, the church was finally completed. Today, it is a national monument in the country. Over the years number of legends behind the church’s construction have appeared. One zany theory is that the church, having been imported from Europe, was meant for Greece (Europe), but got sent instead to the slightly similar sounding town of Grecia (the Spanish name for Greece). Another story says that it was meant for Chile but, due to bureaucratic quicksand, the building simply settled in Grecia. However, the truth behind the building would seem to be the one answer no one wants to believe: that the church was simply purchased by the local government and a group of investors.